Ava Hessington: Do you think I did this? Harvey Specter: That's irrelevant. I just want to make sure I know all the evidence against you. Ava Hessington: I have no idea what the evidence is, because I had nothing to do with it, and you say it's irrelevant, but it's not irrelevant to me. Do you think I did this? 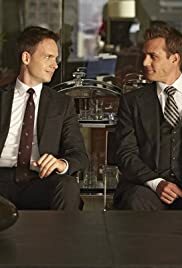 Harvey Specter: Do you want a lawyer who thinks you're innocent and loses or a lawyer who doesn't want to know and wins? Ava Hessington: You know the answer to that. Harvey Specter: Then don't ask me that question again, 'cause after I win and you're free, what I think won't matter.